This past week I was introduced to a site called PhotoWhoa which is a daily deals site for photography products. Every month they post up a few deals on various photography products at discounts of usually 50-90% off. Products include gear/equipment, software, training materials and other photography related products. Every product offered is a limited time deal and a countdown clock displays prominently on any sales page. 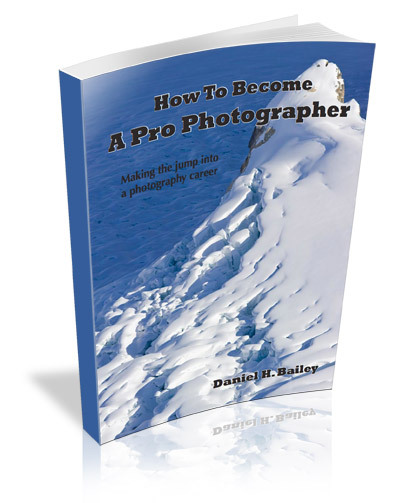 The current PhotoWhoa deal is a trilogy of photography eBooks from Alaskan adventure photographer Dan Bailey. It includes “How to Become a Pro Photographer”, Making the Image” and “Going Fast with Light”. You can get all 3 for only $17 which is a 48% discount off the regular price were you to purchase each individually. Even though I already owned “Going Fast with Light” (which I reviewed not long ago) I picked up this deal as I’ve always been interested in Dan’s other two eBooks. Here is a brief overview of what this deal includes. How to Become a Pro Photographer – Making the jump into a Photography Career – What You Need to Know Ever dream of becoming a pro photographer? I know I have ever since I picked up my first camera and got that first roll of film developed. It’s easy to imagine a life filled with exotic travel and excitement as we stare at the amazing imagery of magazines like National Geographic. Who wouldn’t want their photos to reach a broad audience like that? In How to Become a Pro Photographer Dan addresses the realities of what you need to know in order to make that dream come true (hint – it takes a lot of hard work and hustle). The book starts with getting you thinking about your own personal situation and whether you are ready to make the jump. It gets you thinking about your own acceptable level of risk, your photographic style and how to market that and the sacrifices you will inevitably need to make. These are all good things to think about and consider when planning starting any business. Next Dan speaks to the equipment you will need, everything from photography gear to computer systems and backups and software. I know from my own personal experience when you start adding up the dollars spent on equipment (even just the basic stuff) it starts to add up quickly. You can easily rise above the $10K investment mark before making a cent. At this point you might be thinking why anyone would hire you because you’re not an “expert”. Dan addresses this issue by reminding us that becoming an expert is not an overnight thing. It is a lifelong process of learning and growing. Think about how your images have improved from when you started shooting to now. I know I can see a world of difference. As my friend Sean Ogle advises in his Location Rebel program you don’t need to be the end-all expert that knows everything about photography you only need to be a relative expert. What is a relative expert? It’s someone who knows more about a subject than 99% of the population and thus has the appearance of being an expert. 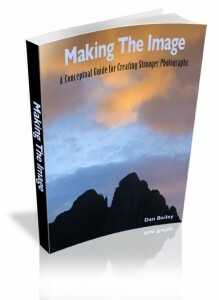 The other book in this trilogy is Making the Image and is a 50 page eBook filled with tips of how to create compelling and dramatic imagery. I’ve only had a chance to briefly skim through this eBook but I really like what I saw. It’s filled with beautiful and inspiring full page photographs and addresses subjects like effective use of light, color, selective focus, balancing an image, using empty space and viewpoint to make strong images that have meaning. I can’t wait to read through this book and apply the concepts to my own photography. 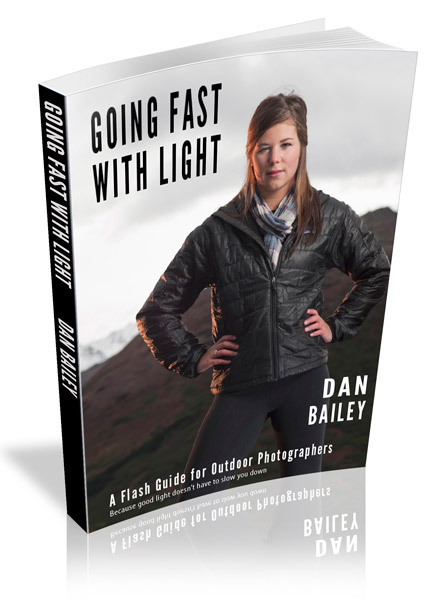 And of course the final book in this set is the Going Fast with Light which is all about using off-camera flash in outdoor adventure photography which is what Dan specializes in. I won’t go into detail here as you can read my review of this book here. I really like the idea behind PhotoWhoa and glad to see they were able to put together this deal for Dan’s eBooks. I like to support other photographers and photography businesses when I can and when it’s prudent for me to do so. In this case I’m really glad that I picked up this trilogy as they have given me some good ideas and a great base to further pursue my own photography business. You can pick up this deal until February 7th. Even if these books are not for you consider signing up with PhotoWhoa and seeing what other photography deals they come up with. Know someone who would enjoy these eBooks? Share this post with them!